We LOVE the Holiday season. 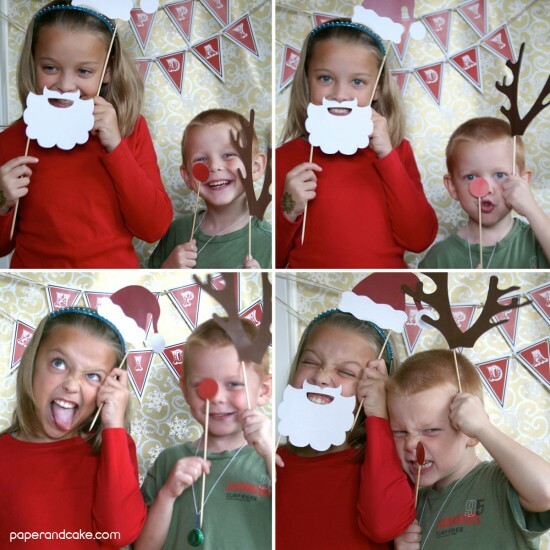 And we LOVE photo booth props, so, how about some printable Holiday photo booth props? Imagine your holiday party with this (hilarious, silly, goofball) activity as an ice breaker? Aren’t these just perfect? So much fun, and seriously, so easy to put together! 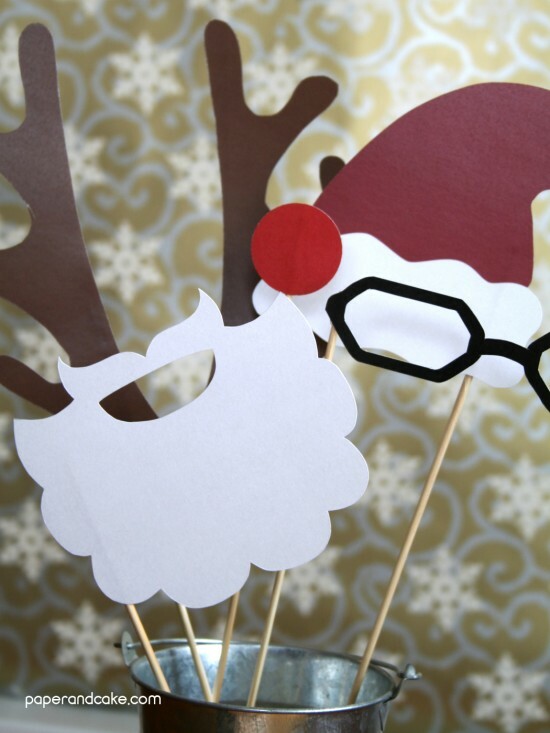 Our Holiday printable photo booth props are even a great activity to keep the kids busy between dinner and present-opening-time, am I right? For the backdrop, all you have to do is hang a large sheet of leftover wrapping paper on the wall. 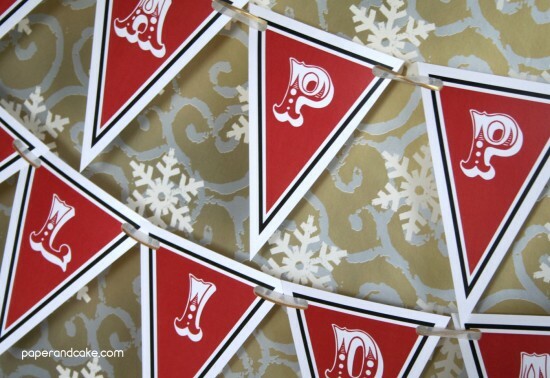 Then, you can add the mini-pennant banner included in this kit, and there you have an instant (and inexpensive) photo booth. What else? 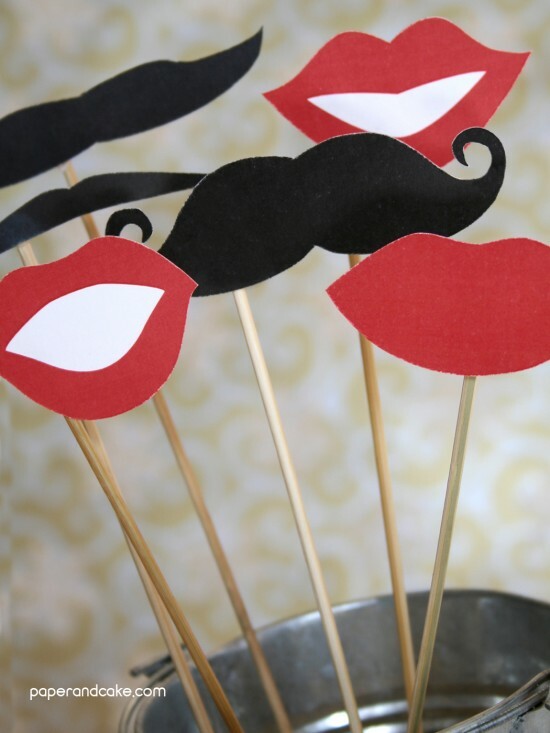 Well, we also have a kit available for your photo booth fun! 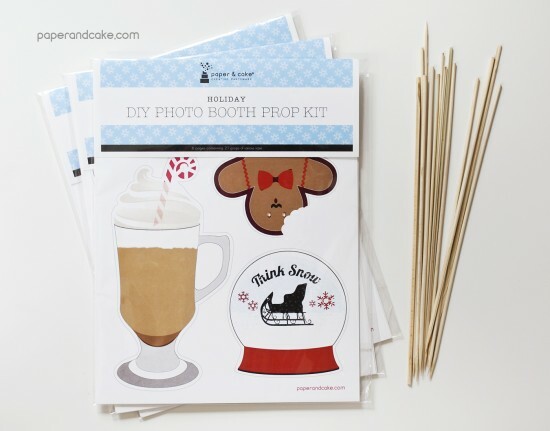 This packaged DIY photo booth prop kit includes 21 different items, all ready for you to put your creative spin on them. I love your Christmas props. So cute! such a cute & fun idea for Christmas cards! So cute! Love the red noise and antlers, haha, that's darling! These props are so cute, and will make for such fun photo ops. We are posting a link to your site for our readers to buy them! Those are really cool props. Would you like to have discounted photo papers for that?